Stop these young yobs... NOW! A gang of 10 youths climbed on to cars in a residential street and left at least three windscreens completely smashed and other vehicles with cracked glass or dents to bodywork. 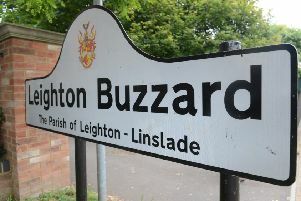 Outraged residents say this is the latest in a string of vandalism incidents across Leighton-Linslade and are demanding that Beds Police steps up patrols as they fear the situation is spiralling out of control as the yobs “run wild”. One resident, Simon Card of Linslade, has distributed 200 leaflets to households in the vicinity of his Church Road home to call for locals to highlight their crime concerns at the next meeting of Central Linslade Residents Association. He said: “On Tuesday (October 4) at 9.40pm, a group of 10 youths walked down Church Road, Linslade and climbed on cars to deliberately smash windscreens. Police attended the scene at approximately 11pm. “I witnessed a youth standing on the bonnet of a car and kicking in the windscreen. A total of three windowscreens were completely smashed, with other cars receiving dents or cracked screens. “Within the last month, a similar incident happened, where three youths (two on bikes) went down the street, kicking off wing mirrors. “Within the last week, a brawl has also broken out between groups of youths in the area of the Hunt Hotel, Church Road. Smashed windscreen in Mentmore Road on October 5. “The youths in question have moved on to Linslade Recreation Ground on each occasion. The permanent, pole mounted CCTV camera in the park has been repeatedly highlighted to police. Another resident contacted the LBO to say: “This is not the first time this has happened, it has been going on for months. I live on New Road and I have had my wing mirror smashed, my neighbours have also had their windows smashed. Tony James sent us a photo of his vehicle which had its windscreen smashed in Bideford Green in August. Another resident sent us a picture of their smashed windscreen which happened in Mentmore Road on Wednesday evening. She said: “We have just had the windscreen replaced on our car by Autoglass. Other residents have taken to the LBO’s Facebook’s page to air their grievances after learning of the Church Road incident. Graham Quick, chairman of Central Linslade Residents’ Association, said the organisation would be discussing the matter on October 27 at The Ship (7.30pm). He said: “The residents have been up in arms. They are very, very angry, as the damage has been quite considerable. “I am informed by Beds Police that they established a new operation to enhance policing in Leighton-Linslade on October 3 and that they will be welcoming four new officers to the town from the official launch of the operation on October 12. “Until it is in place I do not know if it will help stop incidents such as this. A police spokesman said: “We were called at 9.40pm on Tuesday (4 October) to reports to a group of young people damaging cars in Church Road, Linslade. “Officers attended as soon as they were available and spoke to the owner of one of the cars. None of the other owners were able to be contacted and letters were left for them. The summer meeting also revealed a move for police to share the fire station and a new enquiry office at the ambulance station.